Automatic. Excludes Sales Tax. Excludes $895 Lease Acquisition Fee, $306 Dmv Misc Fee with first payment due at signing. Calculated based on a 48 month term with 10k miles/year. Prices run on Stock #J18064 with MSRP $58,063. Model Code 8405. Expires 04/30/2019. Automatic. Excludes Sales Tax. Excludes $895 Lease Acquisition Fee, $306 Dmv Misc Fee with first payment due at signing. Calculated based on a 48 month term with 10k miles/year. Prices run on Stock #J19064 with MSRP $85,148. Model Code AE590/590AE. Expires 04/30/2019. Automatic. Excludes Sales Tax. Excludes $895 Lease Acquisition Fee, $306 Dmv Misc Fee with first payment due at signing. Calculated based on a 39 month term with 10k miles/year. Prices run on Stock #J19050 with MSRP $54,697. Model Code BG761/761AA. Expires 04/30/2019. Automatic. Excludes Sales Tax. Excludes $895 Lease Acquisition Fee, $306 Dmv Misc Fee with first payment due at signing. Calculated based on a 39 month term with 10k miles/year. Prices run on Stock #J19024 with MSRP $47,240. Model Code BJ540/356AZ. Expires 04/30/2019. Get a deal a used Jaguar with many of the benefits of a new model by choosing from our selection of Certified Pre-Owned Jaguar. Each of these models has undergone a comprehensive 165-point inspection to ensure all of the vehicles systems are in peak working condition and each one meets up to the manufacturer’s strict certification standards. Addition benefits include roadside assistance, manufacturer warranty coverage, and a vehicle history report. You value the care and advanced engineering that went into designing and building your Jaguar, and we want to honor that with premium automotive service for all of our customers. At our Jaguar service department, our factory-trained and certified technicians have state-of-the-art equipment and authentic OEM Jaguar parts to handle all your maintenance and repair needs. In addition, we’re happy to provide free vehicle hand washes and vacuums and free Pa State inspections when you come in for complimentary scheduled maintenance or repairs. And if you need to a vehicle while we service yours, you’ll be able to choose from our impressive inventory of Jaguar loaner vehicles. Count on the Jaguar West Chester service department for all your auto maintenance and repair needs in the greater Philadelphia area. 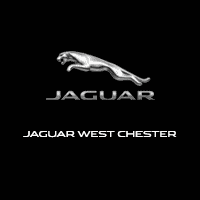 Welcome to Jaguar West Chester, serving drivers with a superior selection of world-class luxury vehicles with the distinctive styling and refined nature of this exclusive English automaker. Discover our entire lineup of new Jaguar vehicles, including popular models like the Jaguar F-TYPE, Jaguar XF, and Jaguar XJ. Don’t forget to browse our used car inventory as well to find even more premium vehicles. When you work with the team at our premium boutique dealership, you’ll enjoy access to a wide range of professionals, a premium facility, and a dedicated finance team that will do everything they can to help you secure the most competitive financing rate available. You’ll also have the opportunity to test drive the Jaguar of your choice on our private test track. And when it comes time to service your Jaguar, you’ll be able to count on our factory-trained and certified Jaguar technicians to handle all maintenance and repairs. Expect nothing less than VIP customer service when you work with the team at Jaguar West Chester, your family-owned and operated Jaguar dealership in the greater Philadelphia area. Take the time to come visit us Monday through Saturday, and contact our staff with any questions. Prompt, professional, and thorough service. I received a call from Stephanie to come check out a vehicle and when i arrived the service was so excellent and i ended up purchasing another car in the show room. I'll be a repeat customer for sure!